Was it a case of simple misinterpretation or a clear case of racism? Apparently alarmed, a white woman called the cops to report a father at his child’s soccer game claiming he yelled at the referee. The father happens to be black. The father said he was not doing anything violent or even threatening as he was simply cheering on his own son. The match where the contrasting points of view happened in Ponte Vedro, Florida over the weekend. Two other women who were also watching the said match took videos of the “other match” going on aside from the real game. 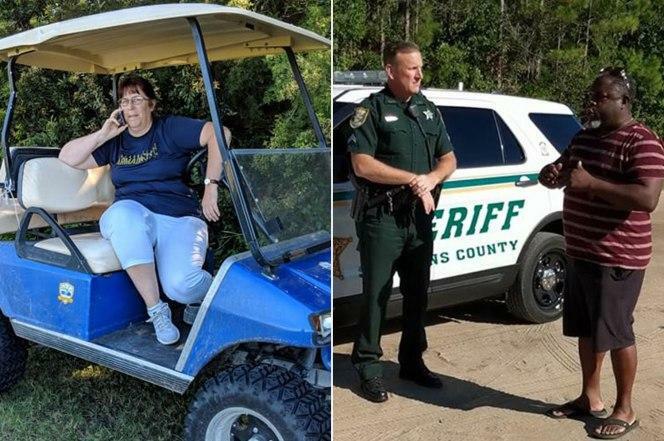 They uploaded images on Facebook showing the field marshal who called the police, with her sitting in a blue golf cart with a phone to her ear. They christened her the “Golfcart Gail” in their post. Based on Williams’ account, the father did not even hurl expletives or even insults at the referee. Instead, Williams said the unnamed father only screamed, “the ref is right!” when he saw that his kid was frustrated by a call. The father could be worried perhaps that his son’s reaction to the referee’s call might affect his game. Williams blamed “Golfcart Gail” for taking offense against a father who was just being, well, a father. Maria Morale- Walther also recorded the incident and also stood for the father and told the local media that “at no point “ was the dad aggressive. One of the deputies who responded told Williams it is within the marshal’s right to call the police. The white women involved have also been bashed and bullied in return after the said posts became viral. It is not certain if that is the right way to correct a mistake, or it’s just making things worse instead of bringing enlightenment to the difficult issue of racism. I was at my Grand Daughters pee-wee softball game last night. It seemed to me. several of the Mothers were living their social lives through their 4-6 y/o's. Screaming and threatening their daughters across the field with all type of punishments. Hey people get a grip its a kids softball game. Let them have some fun. Well, she's certainly the size of a golfcart - maybe she should concentrate on getting her weight down rather than make petulent racist complaints that have no basis in fact. gee a female liberal social justice warrior racist. who would have thunk that?